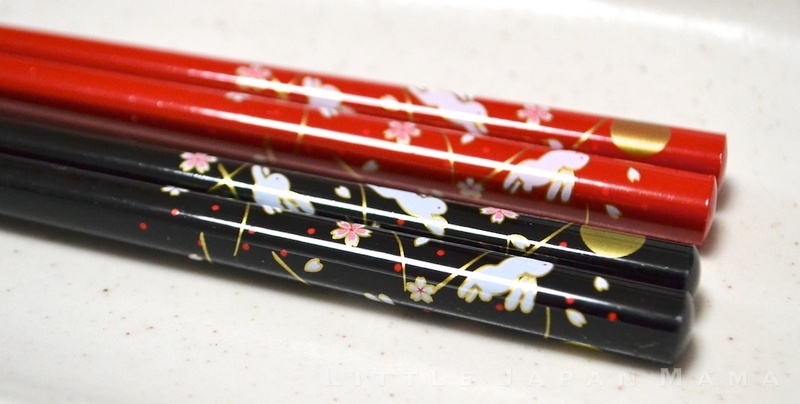 Yume Usagi (Dream Rabbit) is a traditional Japanese design depicting rabbits and the moon. 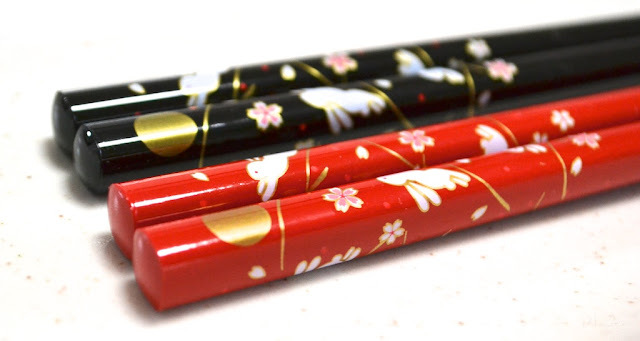 When Japanese look at the moon, we see a rabbit pounding rice to make mochi. There's an old legend that goes with the moon rabbit but for now I'll just let you enjoy these quality Japanese chopsticks. 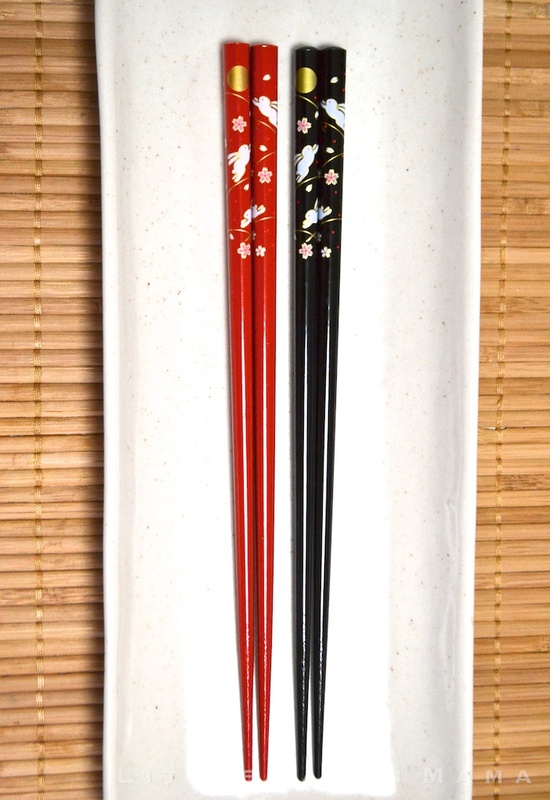 Couple chopstick sets are a popular gift and although these don't come with a fancy box (or pricetag), they make a beautiful set.